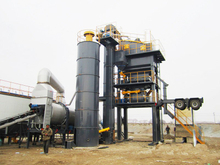 YLB series is mobile batch mixing asphalt plant; it has the advantages of LB Series batching mixing plant; in addition, it is equipped with chassis and trailer and can be mobilized and relocated in a very short time. 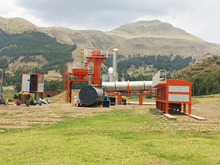 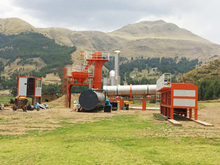 Its output is 60 ̴ 160tph, fit for construction of road that is not wide, but considerable long and needs frequent relocation. 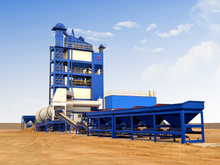 ELB series environmental-friendly asphalt plant is developed on the basis of LB series; it retains the advantages of LB Series and attaches great importance on environmental protection and safety, ELB Series asphalt mixing plant is featured by low noise and less pollutant emission, fit for road construction projects in all grades and scales and can be used in urban or near urban area. 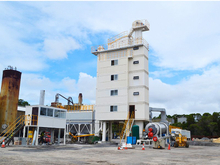 DHB Series and MDHB Series(mobile) are drum mixing asphalt plant; drying drum has functions of drying and mixing; their output is 20 ̴ 100tph,fitting for small and medium-sized road construction project.